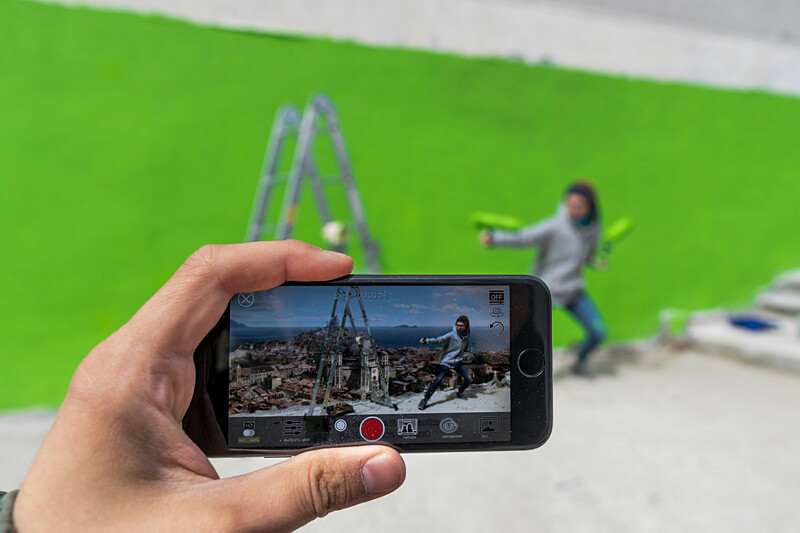 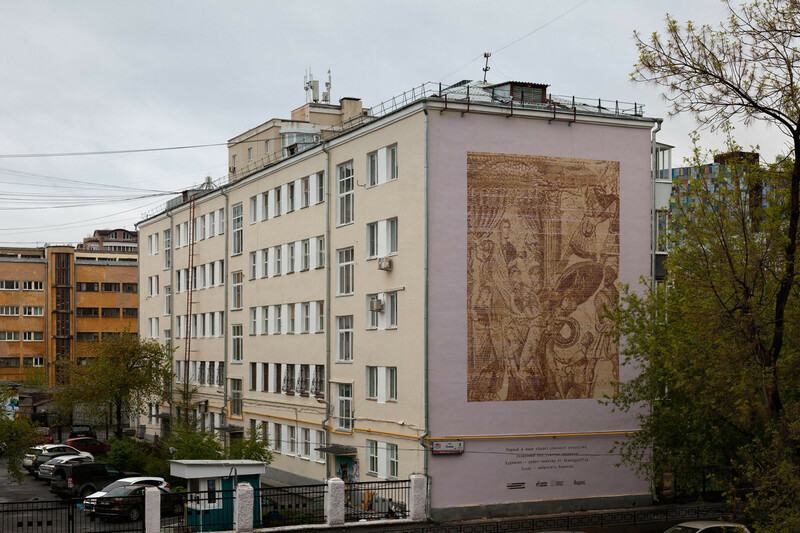 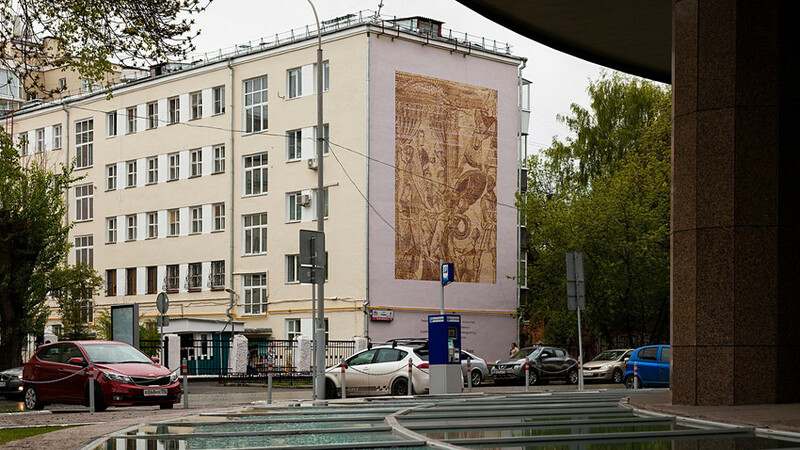 A spray can-wielding robot recreated an 4th century mural on the side of an apartment building in Yekaterinburg, Russia. 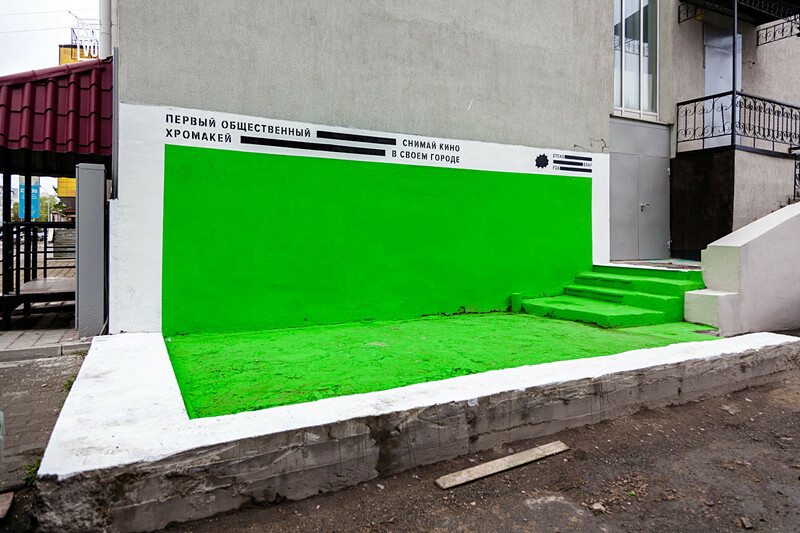 The crazy idea was a part of “Stenograffia” street-art festival in Yekaterinburg. 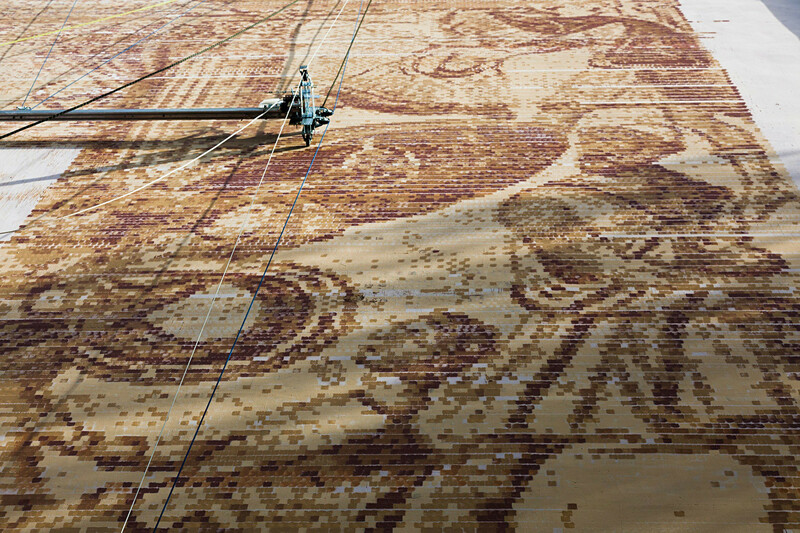 An artificial intelligence engine was specially programmed by a team from Yandex (Russia’s premiere IT corporation) to recreate the missing parts of the mosaic found in Roman Villa La Olmeda in Palencia, Spain, famous for its rich interior designs.